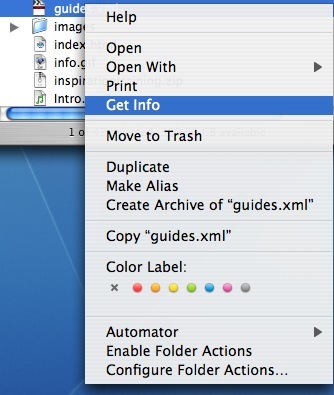 To change the program that opens a type of file, control-click (or right-click if you have a two-button mouse) on the file and select Get Info from the context menu. In the Open With section of the Get Info window, select the application you want to use from the pulldown menu (click on Other… if the application you want to use is not listed, then use the Finder window to locate it in the Applications folder). 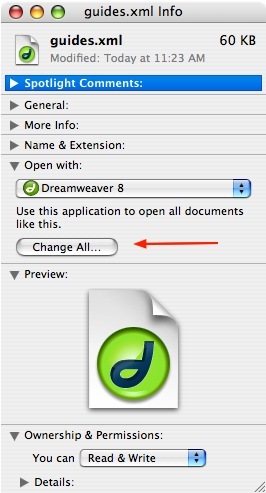 To use that application to open all files of the same type, click on the Change All button. 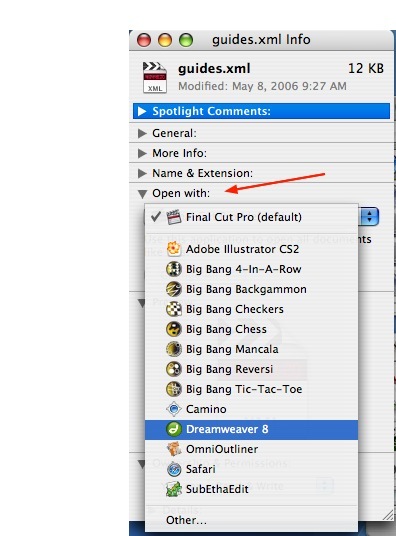 Click on Continue when you get the pop-up window to change the file associations. The program you have selected will be used when you try to open files of the same type in the future.